Setting goals is an important part of the gospel. 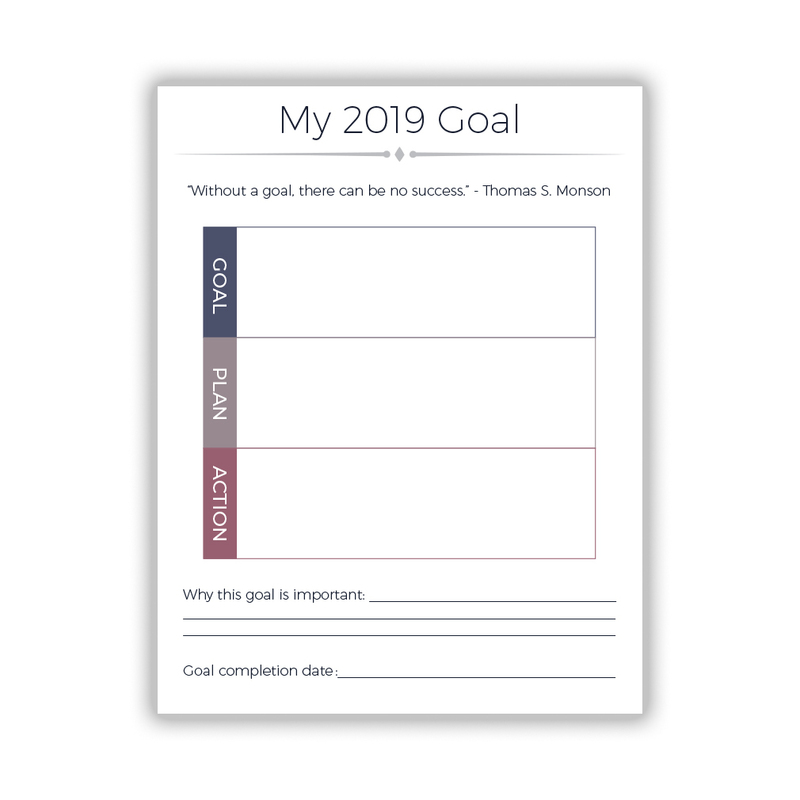 Creating goals for the new year is easy with this worksheet which includes a place to write your goal and how you hope to accomplish it. 8.5 x 11 printout.This is a printable product. That means you will receive an email with a download link upon purchase. Once you have downloaded the file, you can print off as many copies as you need at home or your favorite printing location. Celebrate Thanksgiving with this festive coloring page. 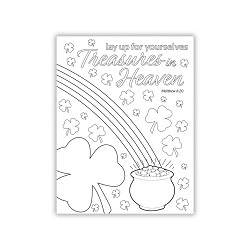 It features the scripture Alma 34:38 and numerous Thanksgiving elements you'll love coloring in on this 8.5 x 11 printout.This is a printable product. That means you will receive an email with a download link upon purchase. Once you have downloaded the file, you can print off as many copies as you need at home or your favorite printing location. Ring in the New Year with this festive coloring page. 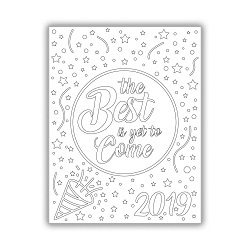 It features the phrase "The Best Is Yet to Come" and lots of fun confetti you'll love coloring in on this 8.5 x 11 printout.This is a printable product. That means you will receive an email with a download link upon purchase. Once you have downloaded the file, you can print off as many copies as you need at home or your favorite printing location. 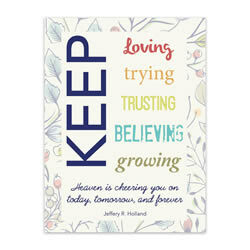 Our Printable Visiting Teaching Handout features Jeffrey R. Holland's quote, "Keep loving. Keep trying. Keep trusting. Keep believing. Keep growing. Heaven is cheering you on today, tomorrow, and forever. "This handout was designed for May.It comes in an 8x10, with two different options:1. Two 5x7 handouts2. 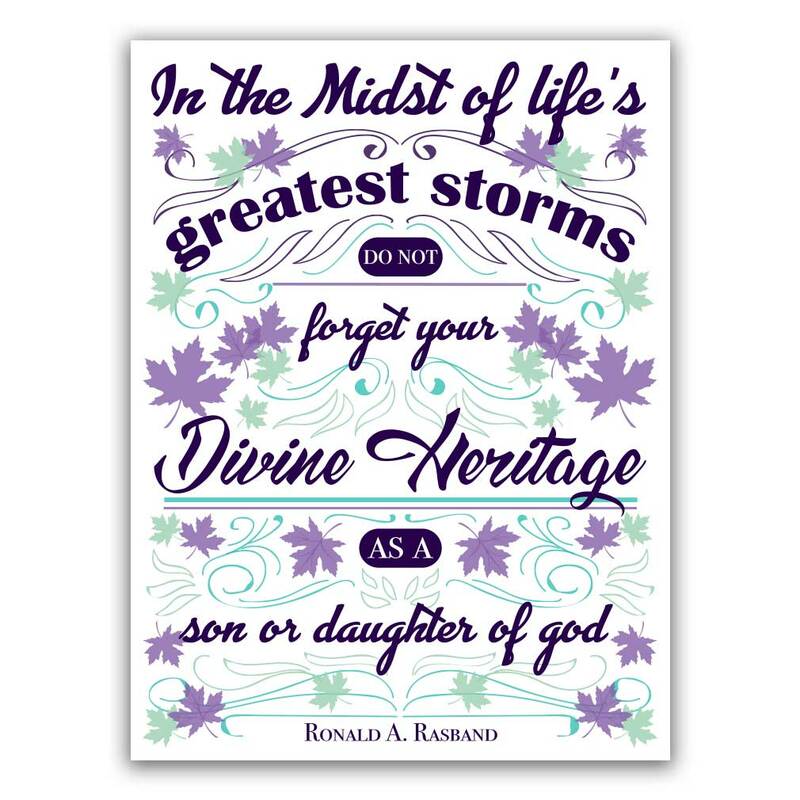 An 8x10 with four handoutsThis is a quick and easy way to give your sisters a well-designed, message reminder for the month. Carve your pumpkins this Halloween with this beautiful, well-designed pack of LDS pumpkin carving templates. 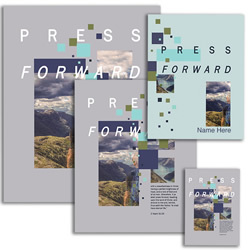 Purchase this printable pack today and download your templates!Included in this pack are templates of:-3 temples-Angel Moroni-Pioneers-CTR ShieldA free sample of the Angel Moroni pumpkin carving template is available here. Our Printable Visiting Teaching Handout comes in an 8x10, with 4 handouts on a page. This is a quick and easy way to give your sisters a well-designed, message reminder for the month.This handout was originally designed for April but can be used at any time. Celebrate Christ with this festive coloring page. 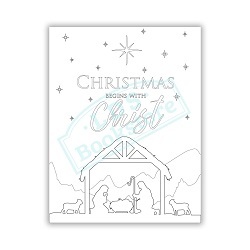 It features the phrase "Christmas Begins With Christ" and a beautiful Nativity scene you'll love coloring in on this 8.5 x 11 printout.This is a printable product. That means you will receive an email with a download link upon purchase. Once you have downloaded the file, you can print off as many copies as you need at home or your favorite printing location. 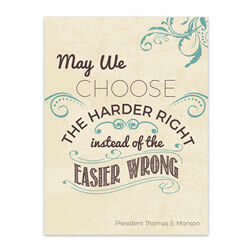 Our Printable Visiting Teaching Handout features President Thomas S. Monson's quote, "May we choose the harder right instead of the easier wrong. "This handout was designed for May but can be used at any time.It comes in an 8x10, with two different options:1. Two 5x7 handouts2. 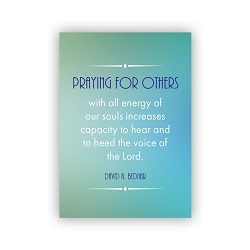 An 8x10 with four handoutsThis is a quick and easy way to give your sisters a well-designed, message reminder for the month. 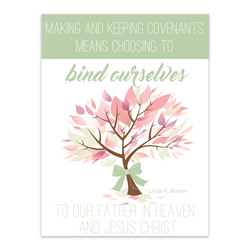 Our Printable June Visiting Teaching Handout features Linda K. Burton's quote, "Making and keeping covenants means choosing to bind ourselves to our Father in heaven and Jesus Christ. "It comes in an 8x10, with two different options:1. Two 5x7 handouts2. 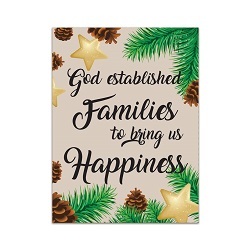 An 8x10 with four handoutsThis is a quick and easy way to give your sisters a well-designed, message reminder for the month. 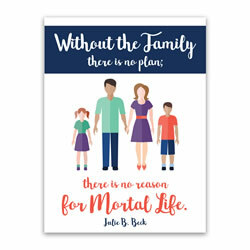 Our Printable October Visiting Teaching Handout features Julie B. Beck's quote, "Without the family there is no plan; there is no reason for mortal life. "It comes in an 8x10, with two different options:1. Two 5x7 handouts2. An 8x10 with four handoutsThis is a quick and easy way to give your sisters a well-designed, message reminder for the month. 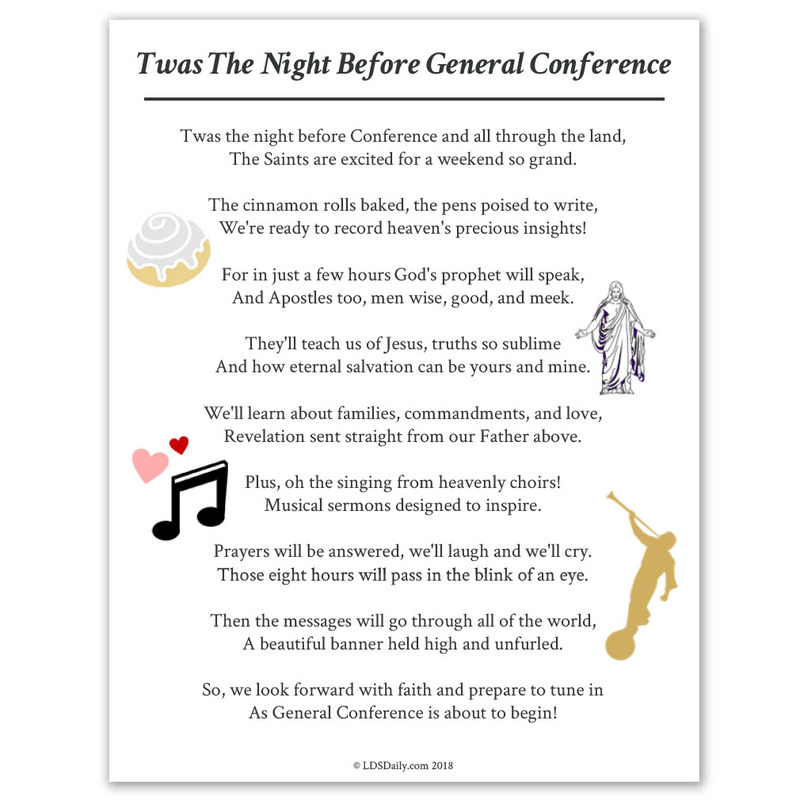 This heartwarming poem is a sweet way to prepare for General Conference. 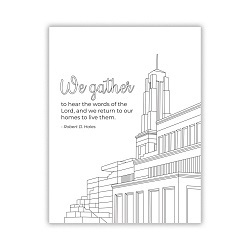 Created by our friends at LDSDaily.com, we've worked in conjunction with them to offer this 8.5 x 11 printout.This is a printable product. That means you will receive an email with a download link upon purchase. Once you have downloaded the file, you can print off as many copies as you need at home or your favorite printing location. Our Printable July Visiting Teaching Handout features Dallin H. Oaks's quote, "In light of the ultimate purpose of the great plan of happiness, I believe that the ultimate treasures on earth and in heaven are our children & our posterity. "It comes in an 8x10, with two different options:1. Two 5x7 handouts2. An 8x10 with four handoutsThis is a quick and easy way to give your sisters a well-designed, message reminder for the month. Our Printable Visiting Teaching Handout was beautifully designed for August, 2016, but can be given at any time.It comes in an 8x10, with two different options:1. Two 5x7 handouts2. 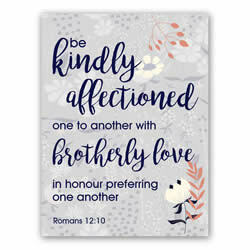 An 8x10 with four handoutsThis handout has the scripture Romans 12:10, which says, "Be kindly affectioned one to another with brotherly love in honour preferring one another. "This is a quick and easy way to give your sisters a well-designed, message reminder for the month. 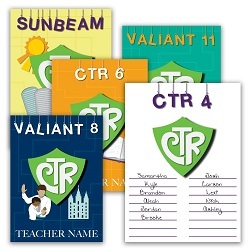 Our Youth Theme Pack contains a binder cover, posters, bookmarks and hand-outs. The binder cover included is for leader use with the option to add his or her name for a customized touch. 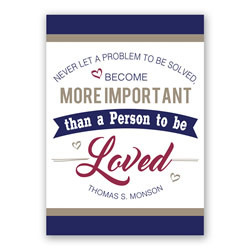 The posters come in sizes 8x10 and 16x20 along with matching hand-outs in a size 5x7. These 2016 themed products will inspire the youth to press forward as they see these reminders. 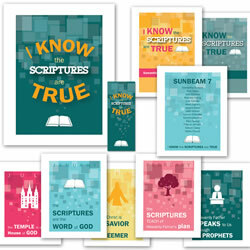 Our Youth Theme Pack contains a binder cover, posters, and hand-outs. The binder cover included is for leader use with the option to add his or her name for a customized touch. 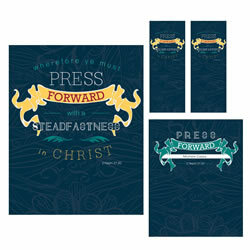 The posters come in sizes 8x10 and 16x20 along with matching hand-outs in a size 5x7. These 2016 themed products will inspire the youth to press forward as they see these reminders.